Chinese, French, Russian, Spanish and American Sign Language. 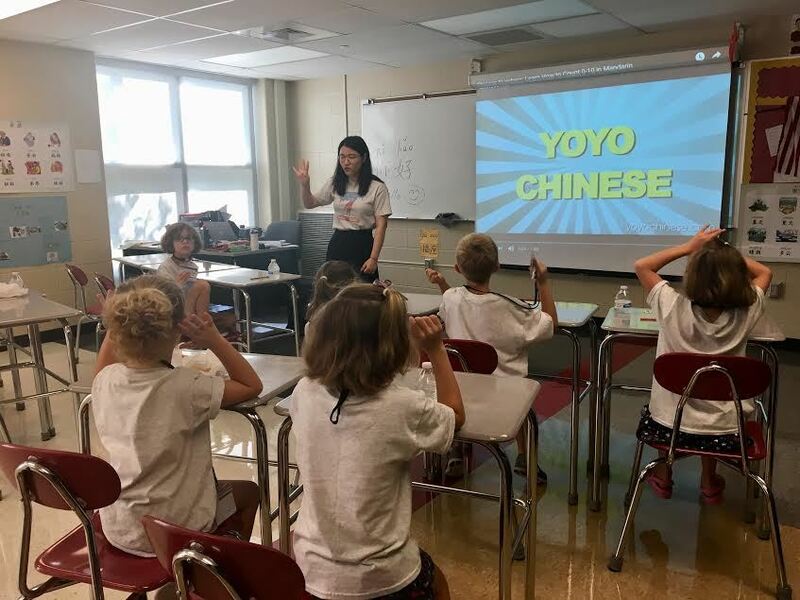 These are the languages about 70 soon-to-be kindergarten to sixth-grade students learned June 25-29 at Bellefonte Area School District’s World Language Summer Camp held at the high school. 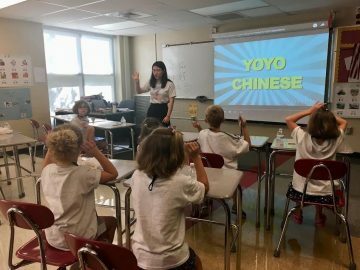 The rooms were filled with students participating in games, crafts, songs and dances that helped them learn the languages, taught by district language teachers. Spanish teacher and camp coordinator Victoria Smith said the program, in its fifth year, was made possible through a grant. The first two years included only Chinese, French and Spanish. With help from other teachers in the district, ASL and Russian were added. “We started it because we really wanted to introduce language at the elementary level,” Smith said. “These kids are little sponges. It’s amazing what they retain and we know the importance (of languages), and studies show that learning languages at this age is easier than when they’re older.” Throughout the week, students rotated from class to class learning the different languages offered. They then had snack time, and a held a final performance on the last day for parents. A group of high school students from the French and Spanish honor societies also volunteered at the camp to help boost their community service hours required to be a part of the club.